The Chairman of the Presidential Advisory Committee Against Corruption, Prof. Itse Sagay (SAN), is about to drop a bombshell. 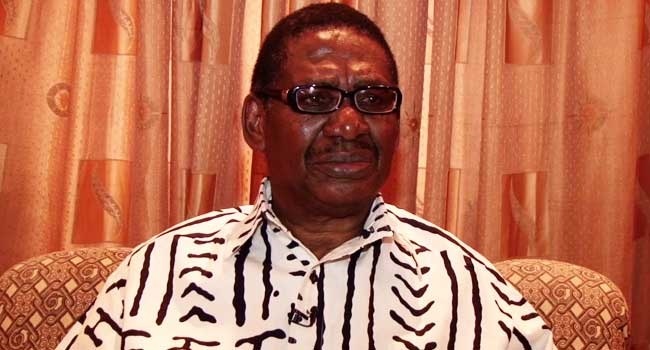 Sagay says the N13m allowances being received by senators is only a tip of the iceberg as Nigerians will be shocked when he releases details of the allowances of the principal officers of the Nigerian parliament. Sagay, who has for several years accused federal lawmakers of receiving outrageous allowances, said principal officers of the National Assembly, including the Senate President, Deputy Senate President, Speaker, Deputy Speaker and the majority and minority leaders of both chambers, are receiving far more. The senior advocate said the polity might explode when he releases the details. "There are many things the press doesn’t know yet. If you come to know the allowances that the leadership of the two houses are getting… My God! It will blow up the country. What is the Senate President getting? It is not the ordinary N13m. "What does he get as Senate President? What is the leader of the House getting, what is the deputy leader of the House getting? What is the Deputy Senate President getting? What are the minority leaders getting in both houses? Sagay lambasted the spokesman for the Senate, Senator Abdullahi Sabi, for saying that the N13.5m allowance was already in the public domain.